My partner and I were hiking along a river in September and I saw fleshy leaves along the side of the trail. I knew they were round-leaved violet leaves (Viola rotundifolia) and I vowed to come back in the spring to see them in flower. Round-leaved violet is in the violet family or the Violaceae. This diverse family (there are over 30 in New York) includes violets, pansies, and even shrubs and small trees (New York Flora Atlas: Viola). They are easily identified by their bilaterally symmetric flowers and how their anthers form a cone around the stigma. 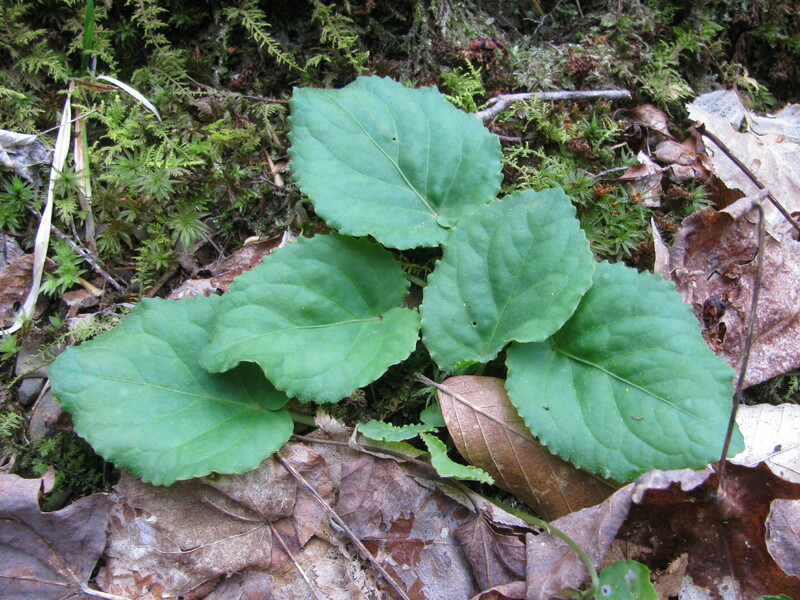 Most also have cordate (heart-shaped) leaves. I got back to the site this spring and while I easily found the leaves again, I could not find any open flowers. It seemed that I was too late! However, we searched more and we were able to a few fresh flowers! 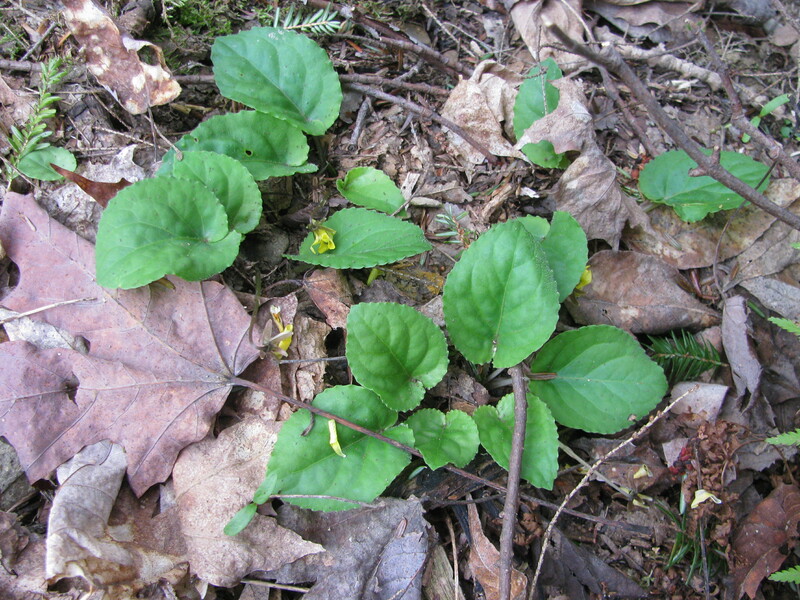 You can identify this species by its rosette of fleshy leaves, and its yellow flowers with straight stigmas. Ants disperse the seeds but non-native ants are more likely to leave the seeds in unfavorable places, decreasing the chances that the seeds germinate (Go Botany: Viola rotundifolia). 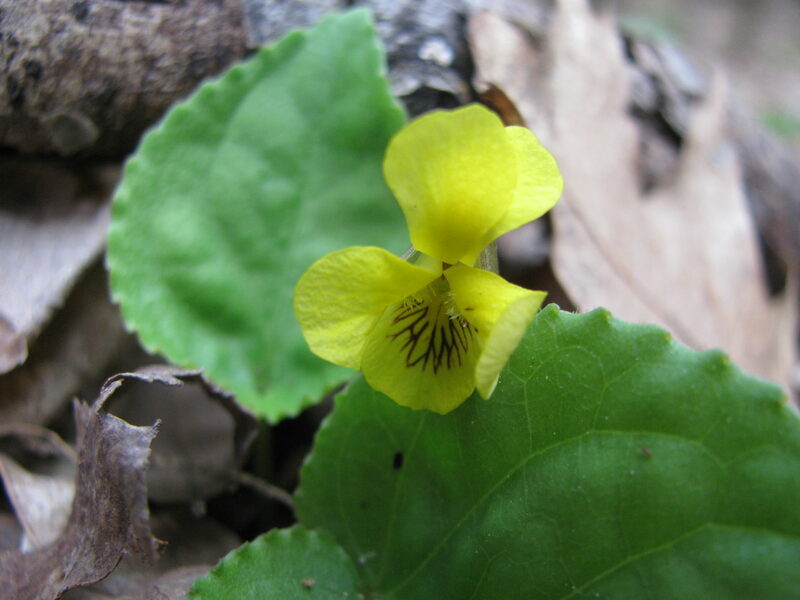 Round-leaved violets are found from Maine south to Georgia, and west to Ohio. 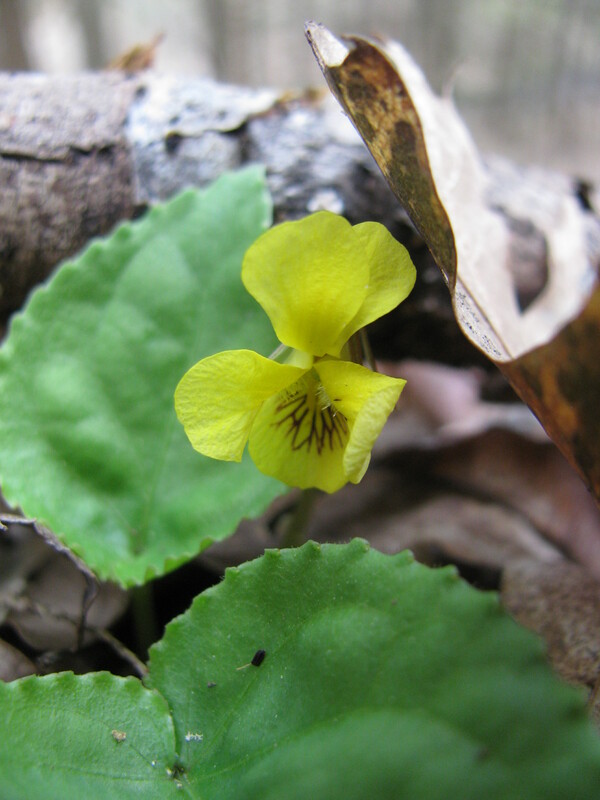 It is listed as a special concern species in Rhode Island (USDA Plant Profile: Viola rotundifolia). Please subscribe here for updates on new posts!